I've always had a personal blog but I started posting book reviews at the end of 2012. However I started "officially" book blogging January this year when I started to really promote it. One of the hardest question a book lover ever has to answer... It definitely is books... Series more like. Harry Potter (JK Rowling), Vampire Academy (Richelle Mead), The Iron Fey (Julie Kagawa), Covenant (Jennifer L. Armentrout), The Fault in Our Stars (John Green), Looking For Alibrandi (Melina Marchetta), On the Jellicoe Road (Melina Marchetta), Easy (Tammara Webber), Throne of Glass/Crown of Midnight (Sarah J. Maas), The Grisha Trilogy (Leigh Bardugo), Hunting Lila/Losing Lila (Sarah Alderson), These Broken Stars (Amie Kaufman and Meagan Spooner), anything by Jessica Shirvington, Gayle Forman and Colleen Hoover. I actually have a lot more "favourites" but these are my best-of-the-best! Q: It is up to you to do a Kickstarter campaign for your favorite book!!! Who are you casting for the main characters? Well, honestly, none. I'm so nervous about any book that I love being made into a movie. It nearly always gets screwed up. Even as excited as I am about JK Rowling's new Beasts project, I'm horribly anxious about it. I wouldn't want anything Harry Potter related to be a failure and/or of poor quality. But if I have to pick something... It would be cool to have a remake of Where the Red Fern Grows, one of my favorite books from childhood. There's a blank and white movie, but it's ancient. Also, any of Maggie Stiefvater's books, but I can't imagine how they could do that properly. It is nerve-wracking - a favorite book being turned into a movie. You want it to be amazing, but the movie hard to live up to the book. Even though it was black and white Where the Red Fern Grows was a great movie. I remember reading the book and watching the movie in grade school. I would like to see it redone too. Have a great weekend!! I understand your nervousness. I like movies to resemble the books and not stray too far from the original story line. I agree that making your favorite books into movies is always super scary. I always have to see it though, even when I suspect it's going to be an epic fail. I always think I could do it better, but this casting took me forever, so I'm not so sure! I'm the same way, I'm so worried that when they make a movie about one of my favorite books that the movie will be terrible. I am also really bad at picking actors for parts. I gave it a shot this week just for the FF. I dread when books are made into movies now. They rarely, if ever, live up to the "original." Still, I find myself always hoping for the best and that the movie will change my life like the book did ;), though I know I shouldn't. 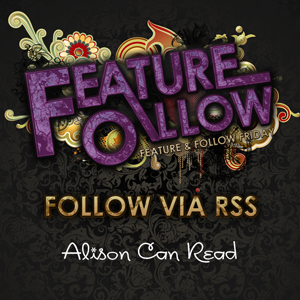 Thanks for stopping by my FF, Alison. After tweeting you, I promptly passed out! I'm of the same mind, and find it extremely difficult to associate characters in books being portrayed by actors. I hadn't given much thought to actors for characters in my favourite books before I saw this question this week. I guess,because I saw the question last week, it gave me time to think about it. Yay! I'm not the only one who couldn't think of a cast! I thought I initially heard that Maggie's Shiver was going to be made into a movie. I guess there hasn't been progress. I don't usually hear movie news on my own! I hope you will stop by. I'll glad to hear your thoughts. Hey Alison! Happy Friday. Hmmm, if I had chance to do a Kickstarter I do Patricia Briggs mercy Thompson Series. Love those books. Thanks for stopping by! Did you ever watch the 90's version of Where the Red Fern Grows? I always remember it as the movie that made my older brother cry. Lol. He was probably 9 at the time. We really struggled with this question since so many books are being made into movies now. Question for you though - you say the email address needs to be easily found. Do you consider a contact form as part of this? We each have a page for a contact form, but we do not post our email address visibly since we don't want spam. You know, I considered your answer for mine too but I think I would like to see mine turned into a movie if done correctly. I totally understand what you mean, because you don't want people to butcher something you treasure. I think Harry Potter (and Perks of Being a Wallflower) are probably the best done. Now that I understand what kickstarter means, I don't think I'd get myself involved. There are a lot of movie adaptations out there that seriously failed. And I don't think I could stand it if the movie that I campaigned for becomes a total flop. I so get it. I get excited when a face book is going to be made into a movie, but if the casting is wrong....huge let down. I'm so nervous for Obsidian. If they don't get Daemon Black right, ugh. I don't really like when my favorite books are made into TV shows or movies. Even when they are done well (although they usually aren't) I have my own vision and I can't unsee the actors in the roles afterwords. It kind of ruins things for me. This week's question was a toughie, for sure! Thanks for coming by my blog, Alison.